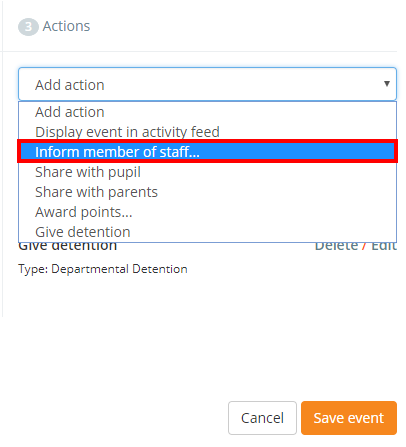 To inform heads of year when an event is triggered, ensure that you have set up heads for your year groups (SIMS linked schools will have the heads of year assigned automatically) and click on the Analytics option in the top menu. Another popup will appear. 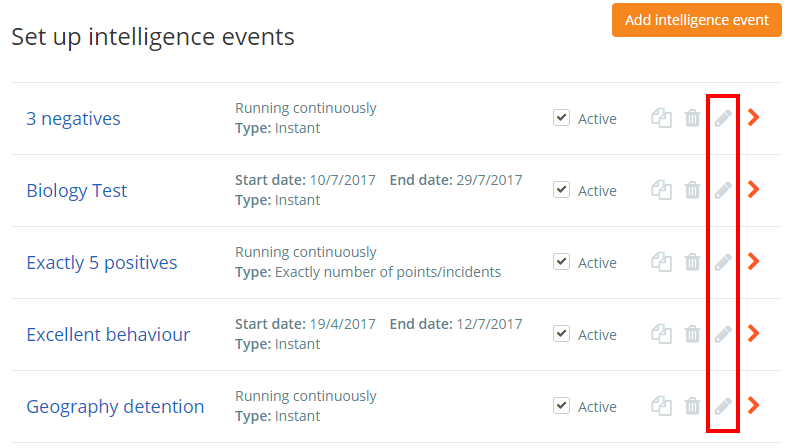 Tick the Head of year (if available) option to inform the pupil's head of year when the pupil successfully triggers the intelligence event.